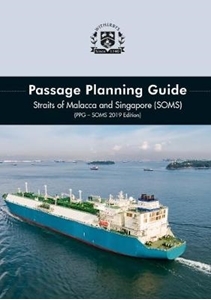 This 2019 edition of the Passage Planning Guide, Straits of Malacca and Singapore (SOMS) has been completely revised to incorporate the latest guidance and practical advice for ships transiting the region. Since the first edition of this guide was published, concern among the coastal States, major cargo importers, ship owners and shipmasters regarding navigational safety in the Straits has continued. The Straits remain one of the busiest and most congested seaways in the world and the carriage of cargoes in this region increases year on year. The interest and participation of all continues today managed by Witherby Publishing Group, working together with marine advisors who work on a daily basis in the Straits, Pilots, local Navigation Superintendents and Shipmasters transiting the Straits.